Steven F. Pflaum is chair of the General & Commercial Litigation practice group. His practice includes a wide variety of complex civil litigation matters, includ­ing commercial, constitutional, media, airport, and land use cases. A substantial portion of his practice involves appeals in state and federal courts across the country. Areas of particular concentration include representing hospitals in property tax exemption and other controver­sies, defending and counseling print, online, and broadcast media entities with respect to defamation and related claims, and representing municipalities in disputes regarding so-called “locally undesirable land uses” such as airports, music amphitheaters, jails, or landfills. Steve serves as a neutral or as counsel in alternative dispute resolution proceedings conducted by various courts, self-regulatory organizations, and ADR providers. He is a frequent lecturer and author on subjects related to the substantive areas of his practice, as well as on litigation and trial practice, legal and judicial ethics, and current legal developments. He also serves as a member of the Editorial Advisory Board of Airport Noise Report, the leading national publica­tion on airport noise issues. 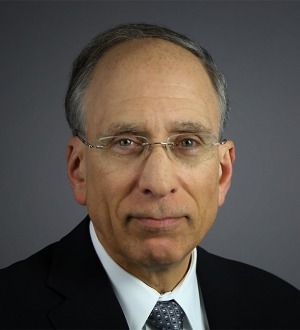 Steve devotes a substantial amount of time to activities intended to improve the administration of justice and the regulation of the legal profession. He is a member and two-term chair of the Illinois Supreme Court Committee on Professional Responsibility, a founding member and current chair of the Illinois Judicial Ethics Committee, and a faculty member of the Attorney Registration and Disciplinary Commission’s Illinois Professional Responsibility Institute. Although primarily intended as a form of public service, Steve’s involvement with professional ethics and liability issues has increasingly led to his retention by lawyers and law firms as an expert witness or as counsel regarding those issues. He is also listed in Who’s Who in America, Who’s Who in American Law, Leading Lawyers Network and Illinois Super Lawyers. Steve is President of the Appellate Lawyers Association, an organization of lawyers who practice in the courts of review and of judges who serve on those courts. Steve is also a member of the Chicago Bar Association, for which he served as General Counsel from 1996 to 2009 and sat on the Board of Managers from 1993 to 1995. Steve is also a member of the Illinois Association of Healthcare Attorneys (co-chair, Bylaws & Governance Committee), Chicago Council of Lawyers, American Bar Association and the State Bar of California. Steve is the chair of the firm’s Pro Bono Committee. In that capacity, he has worked with the members of the Committee and lawyers throughout the firm in developing and implementing the firm’s innovative and ambitious pro bono policy. While in law school, Steve served as an editor of the Michigan Law Review and was elected to the Order of the Coif.